We are an established accountancy practice trusted by long standing clients to deliver year round advice. This committed and proactive approach means that as a client, you can confidently relinquish many of the more onerous tasks of running your business. It allows you to focus on the task in hand; driving your business forward. It's a goal we also share - taking businesses as far as they can go. We're forward-thinking and diligent. We'll highlight areas that need attention before they become problematic and deal quickly and efficiently with the work that is required of us. Always there in the background ensuring that whenever you call, the response will bring clarity and comfort, not confusion. If you're in need of a financial steer from a team of approachable and friendly accounting professionals, we're the people for you. Why not call us today to arrange an initial chat? 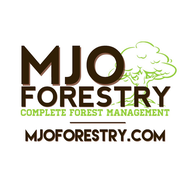 We can talk through your options and work out a monthly pricing plan to suit your needs. 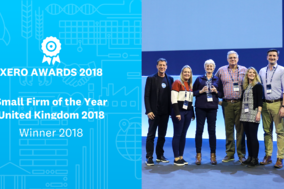 We’re winners - Xero’s UK Small Firm of the Year 2018! 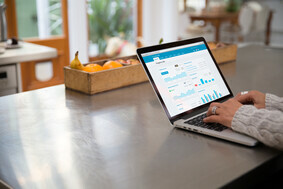 The utter joy of moving your bookkeeping from Sage Business Cloud Accounting to Xero!